LODI, New Jersey (WABC) -- A mother in New Jersey says a local fast-food joint served her family tainted chicken. Now, the Lodi Health Department is investigating. Wafaa Linares brought home an 8-piece chicken combo Tuesday from a "Popeyes" in Lodi. 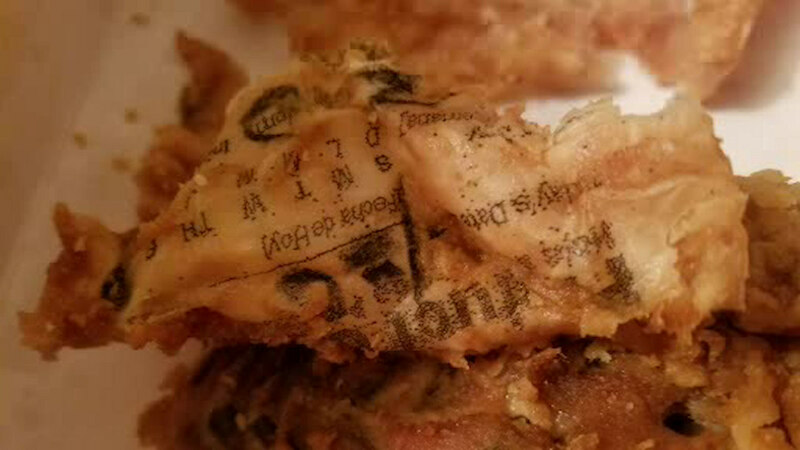 She says her children had already started chowing down, when they noticed what appeared to be newsprint on the chicken. Linares says her family suffered stomachaches after the meal. Eyewitness News reached out to "Popeyes" for comment, but haven't heard back.